Nature abounds! 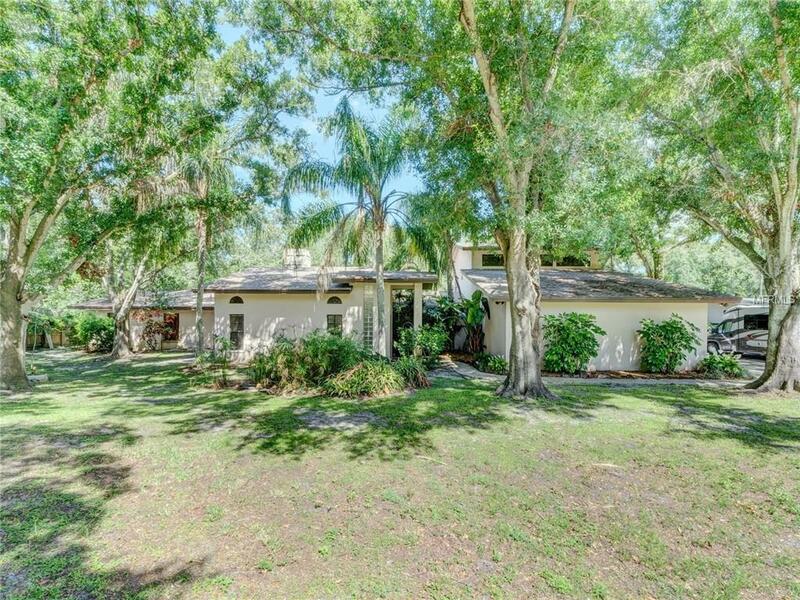 Unique opportunity to own a spacious home on almost one acre in the heart of Pinellas County, located in a private cul-de-sac backing up to the Allen's creek estuary. Recent updates and features include a new roof, carpet, granite kitchen counters with stone backsplash, and pass through counter to the recently repaved pool area. Another great feature of this home is Dual AC Units and Hot Water Heaters. This benefit is essential to this large, sprawling home. 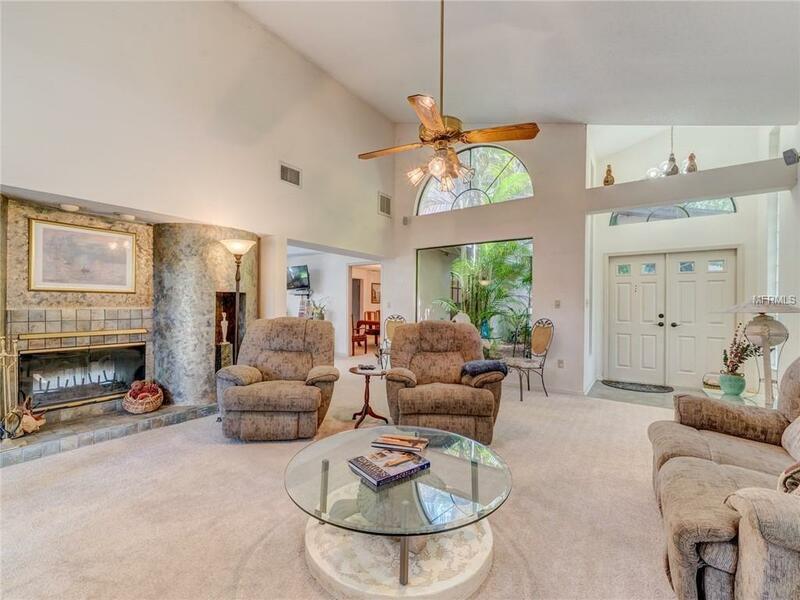 A double-sided wood burning fireplace with tile accents enhance the main Living room and great room. The skylights in the family room as well as custom windows throughout create a sensation of sharing the outside garden light. The convenient kitchen setup features a cooking island with separate cook top, a double oven as well as a step-up bar area. 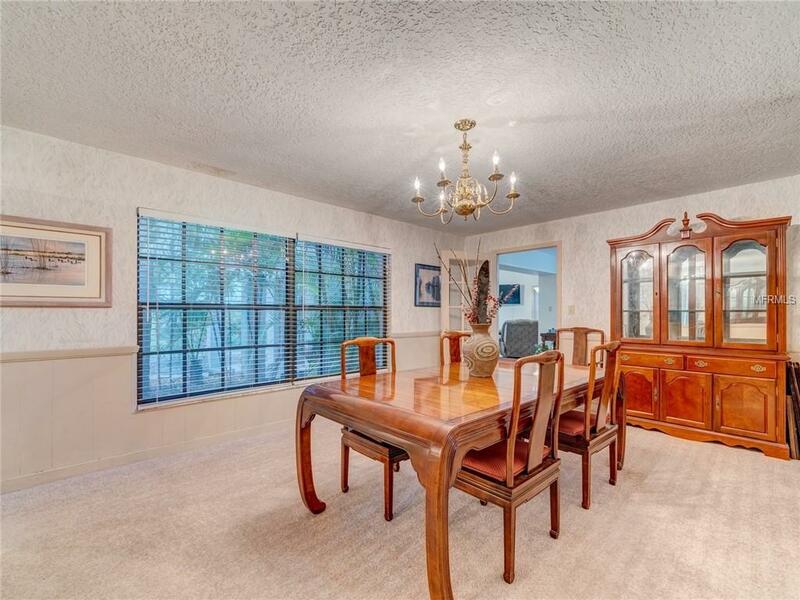 Great space for entertaining in this updated cooks kitchen that opens to the breakfast nook on one side and a formal dining room on the other. Want privacy? This home has two master bedrooms on opposite sides of the main floor, each with their own en-suite bath. The Master Retreat includes a 5-piece master bath with walk in shower and dual shower heads, a spa tub, his and hers sinks and his and hers master walk in closets, pool access, as well as a vast sitting area and vaulted ceilings. 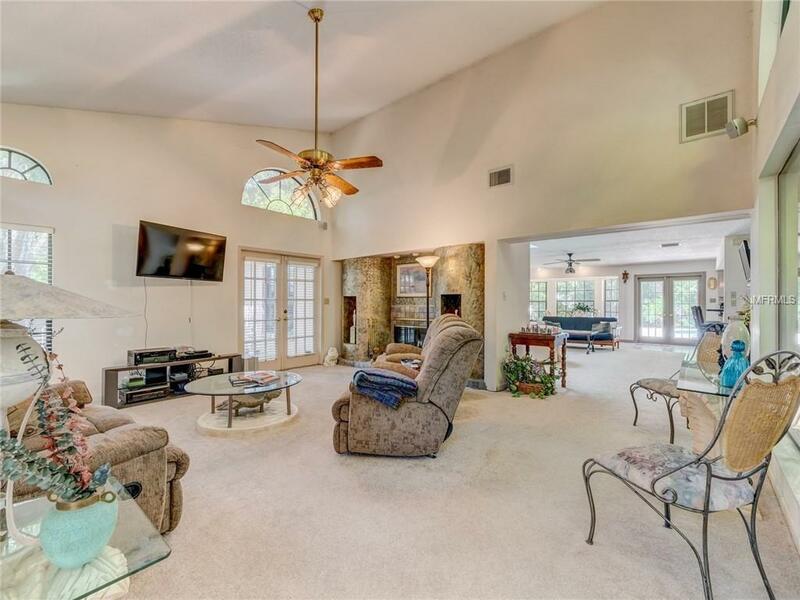 The private retreat also has an upstairs multi purpose loft with wet bar and French doors to a private balcony overlooking the backyard and pool area. With the oversized lot and extended driveway theres plenty of room to park your RV, boat, and other toys. Conveniently located near to shopping, restaurants, schools, parks, golfing & beaches only minutes away. Listing provided courtesy of Burwell Real Estate.